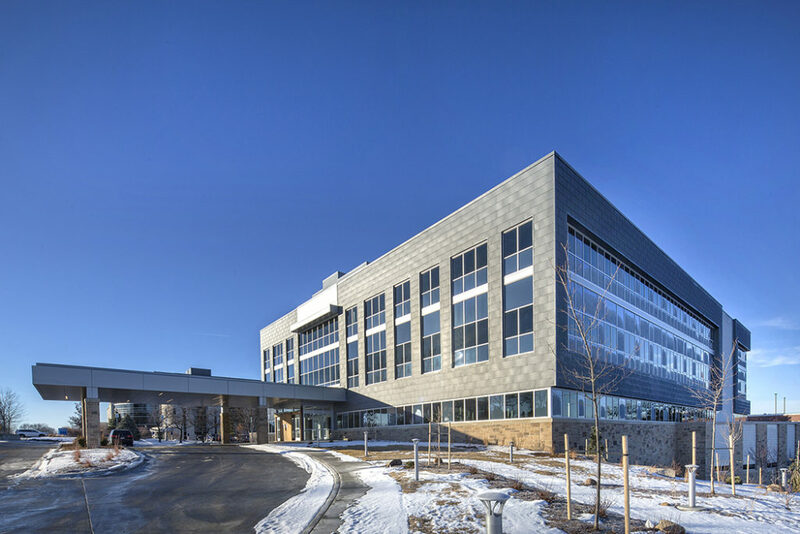 Bryan Health celebrated an open house for the newly constructed 5055 Building, an outpatient surgery center and medical office building at Bryan East Campus in January 2018. Initial planning for this project began in June 2015 and construction started the summer of 2016. Over the past two decades, Bryan purchased 35 properties on a four-square-block area to accommodate expansion. Initially, Bryan was looking at adding only an Ambulatory Surgery Center (ASC) while working with Surgery Center Services of America, an Ambulatory Surgery Center consultant based out of Mesa, Arizona. As planning took place, and other areas for growth were identified, Davis Design was asked to look at a mixed-use facility, incorporating medical office space above the ASC. The $25 million-dollar building provides nearly 100,000-square feet and is four stories tall. The first floor of the 5055 Building is home to Doctors Outpatient Surgery Center which is a joint venture between Bryan Health and 76 area physicians. The space features 17,000-square feet and six surgical suites with room for future expansion. This includes pre-op and post-op space, staff support areas and supply space for surgical equipment – all incorporated into clockwise circulation flow for patients. General and specialty surgeries will be performed, including orthopedics, gynecology, podiatry, plastics and dental. Projections show that 5,000 surgeries will be performed in the first year. The other three levels are approximately 20,000-square feet each, offering tenant office space. Atop the office floors is a mechanical penthouse supplying HVAC to those levels. And to aid in the convenience of foot traffic for surgical staff, a 175-foot skywalk was designed at third level, connecting the 5055 Building to other buildings on the Bryan East Campus. The exterior of the building showcases stone masonry at the first level tying into the elements of the surrounding established Piedmont neighborhood. The upper levels are designed with zinc and aluminum metal panels, along with tinted glass. The use of these lighter materials delivers the impression the upper two levels are floating above the masonry base. This site has a 40-foot elevation change from the southeast corner to the northwest corner. Patients will enter Doctors Outpatient Surgery Center on the north side of the 5055 Building and patients visiting the medical offices will enter from the east. Doctors Outpatient Surgery Center is scheduled to open to patients in April 2018. The first tenant space is currently under construction and is scheduled to open in May 2018.